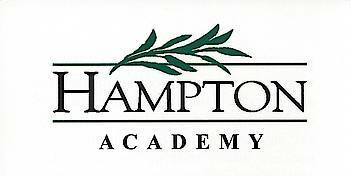 Hampton Academy is a private day school approved by the State of New Jersey to provide therapeutic and educational services to classified students in grades one through twelve. Our highly specialized Primary Program is designed to build a strong academic foundation, enhance communication skills and develop behavioral control and self-regulation. Our Elementary, Middle School and High School Programs provide differentiated instruction aligned with NJ Core Curriculum Content Standards, a comprehensive behavioral incentive program, high-interest activities, research-based interventions and intensive clinical support to motivate students to achieve academic, personal and behavioral goals. Among the social and emotional difficulties our students exhibit are anxiety, depression, low frustration tolerance, substance abuse-related issues, and social conflicts with peers as well as adults/authority figures. Emotionally Disturbed, Specific Learning Disabilities, Other Health Impaired, Multiple Disabilities, Socially Maladjusted, Autism Spectrum Disorders, ADD/ADHD.